← JTB partners with The Waxing Co. 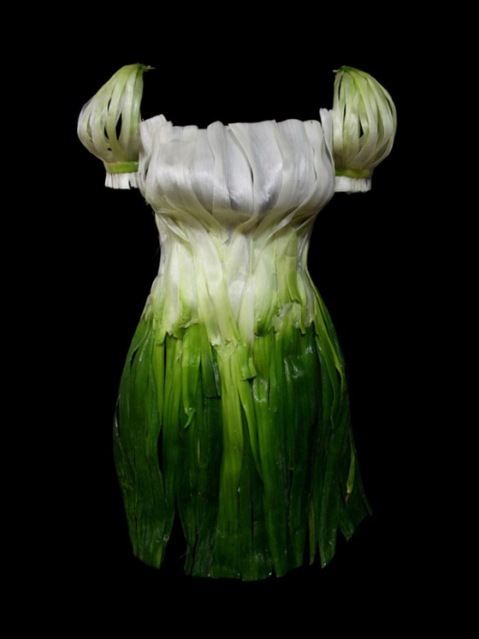 I discovered the fantastic work of Korean fine artist and photographer Sung Yeonju through the blog Fashionreworks. 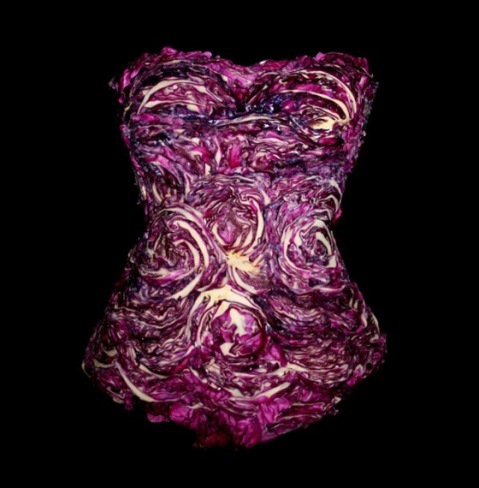 He creates his dresses entirely from real fruits and vegetables. The colors, shapes and textures take on some amazing properties of silks, cottons, hemp and wool, don’t they? 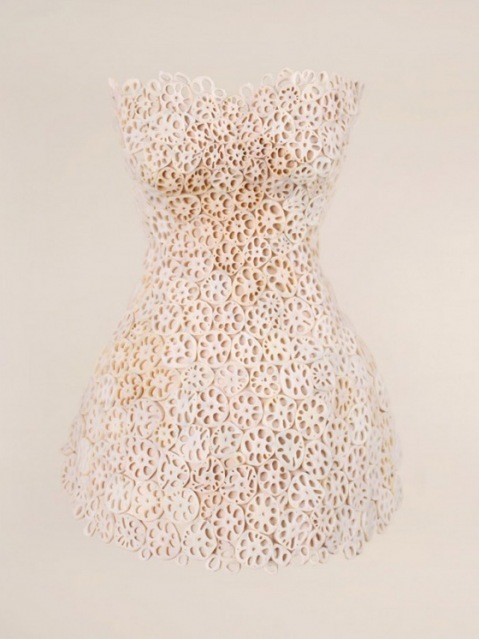 I have made a gown out of recycled tarlatans and a cape of used coffee filters but these are beyond my own imagination! 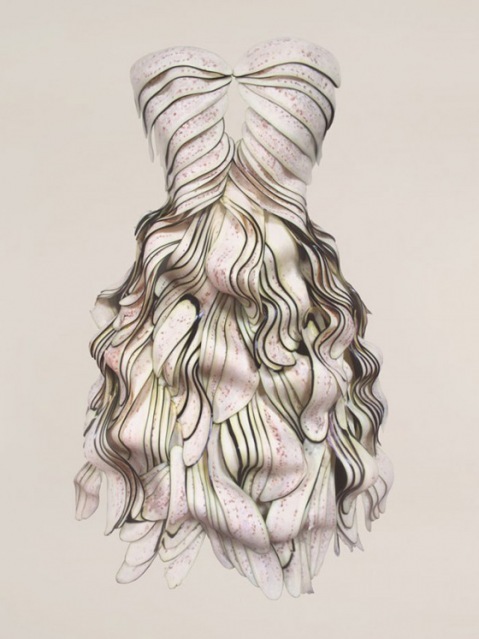 This entry was posted in Art, Design, International fashion and tagged Sung Yeonju. Bookmark the permalink. Wow, I like this. The outfits are great, looking at them makes me hungry! WOW! 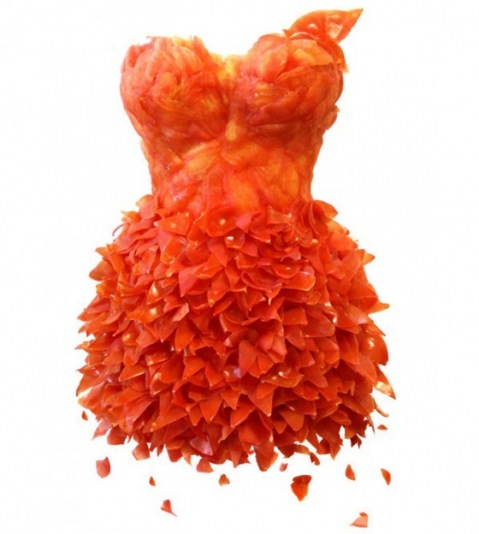 Is it weird that I want to wear that tomato dress? Tomatoes have always been a favorite of mine. Aren’t they amazing? I want the lotus root one!